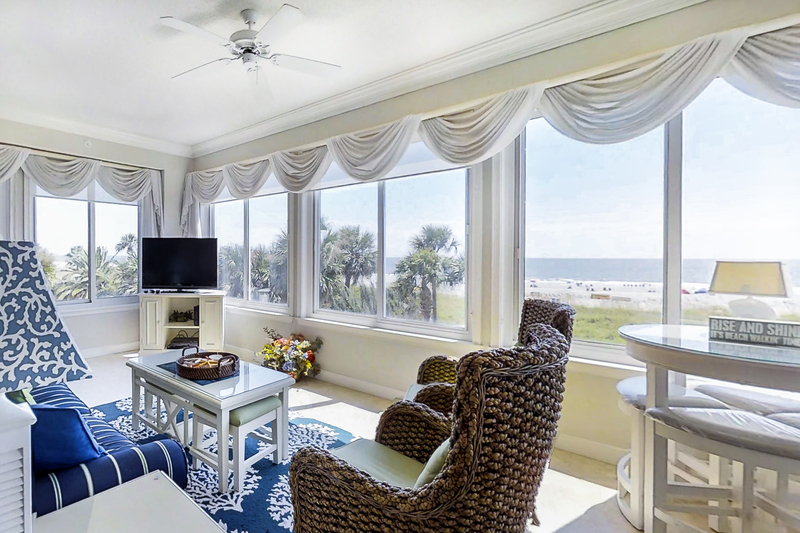 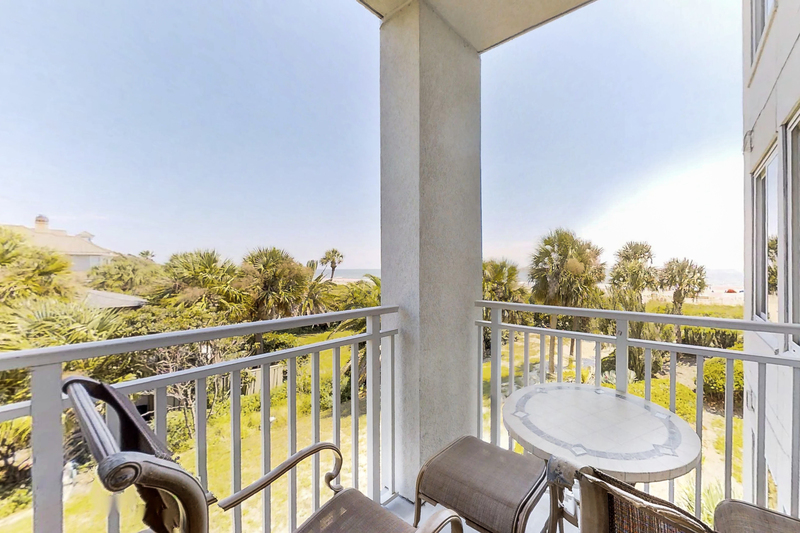 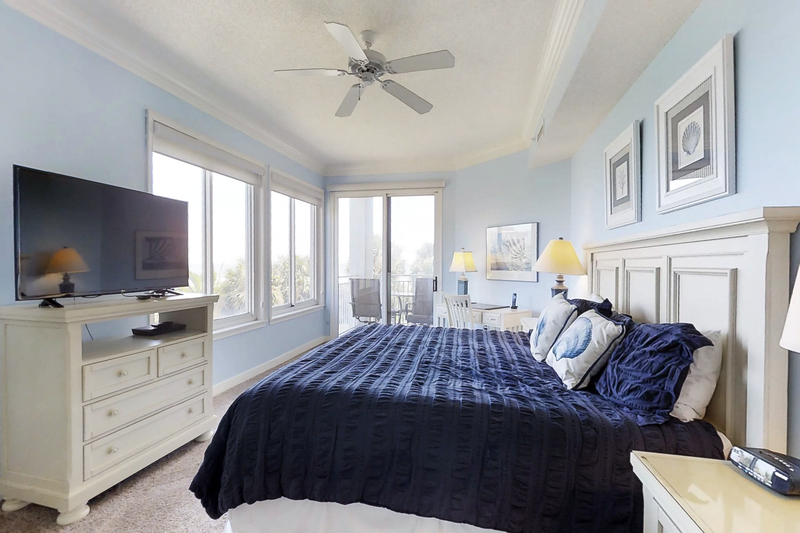 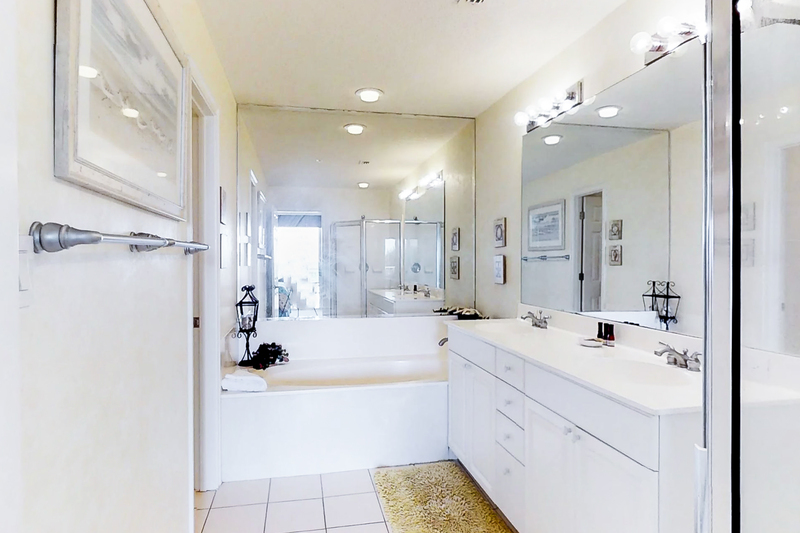 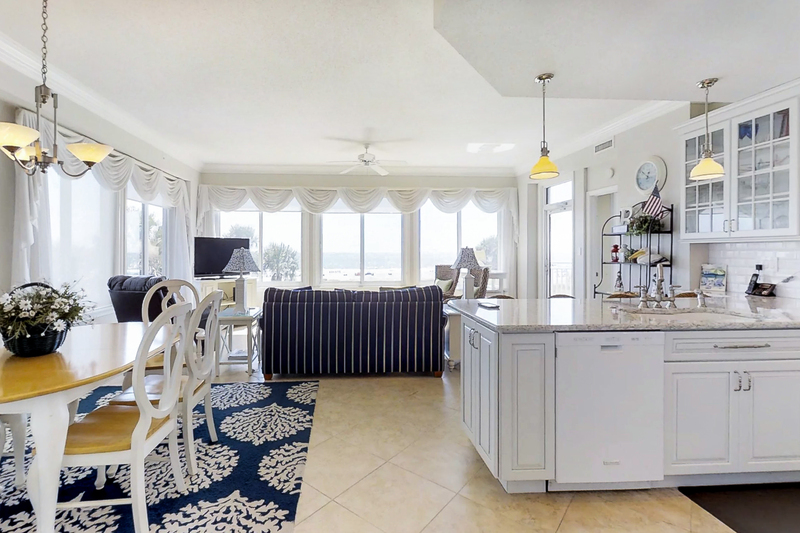 This second floor unit in Seacrest has remarkable oceanfront views. 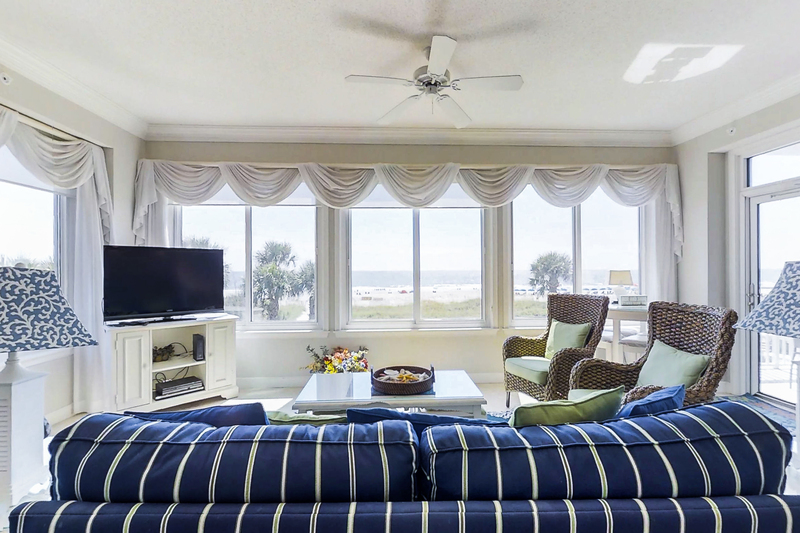 The spacious living area is open to the dining room and kitchen, and is furnished with a 55" flat screen TV and Blu-Ray player. 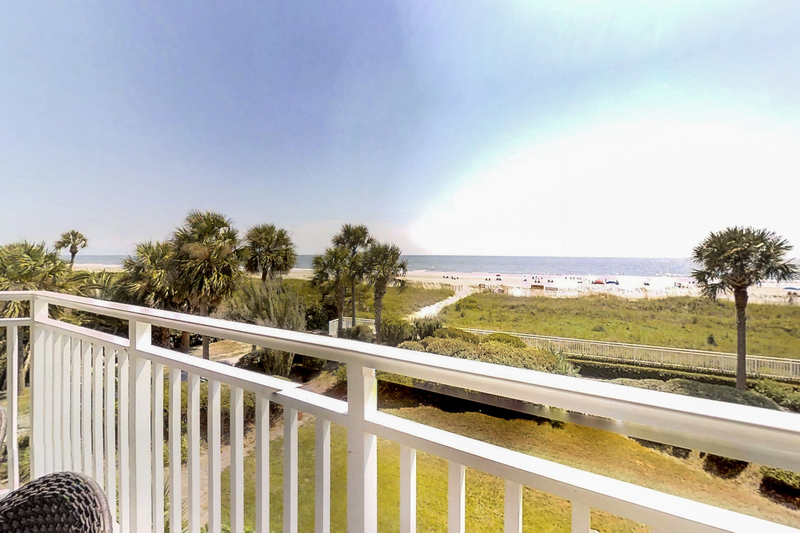 There is also a large balcony with expansive Atlantic Ocean views that can be accessed from the living room or master bedroom. 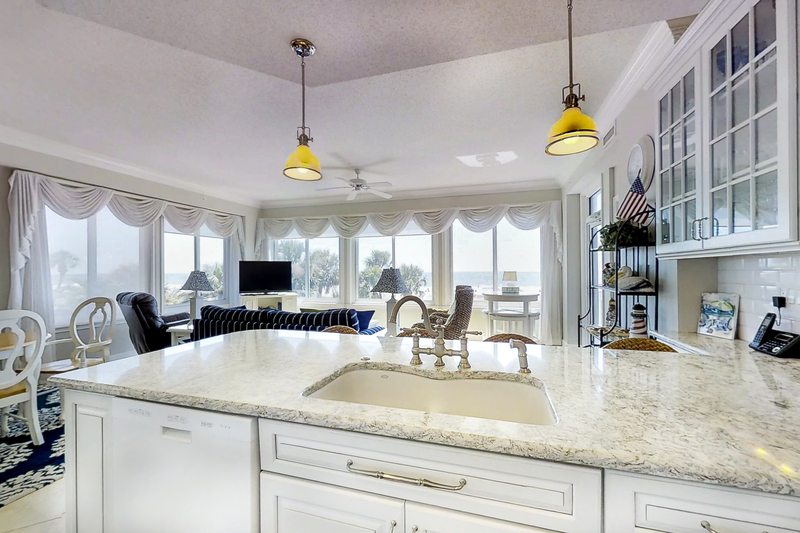 The kitchen features a breakfast bar with four chairs for additional seating. 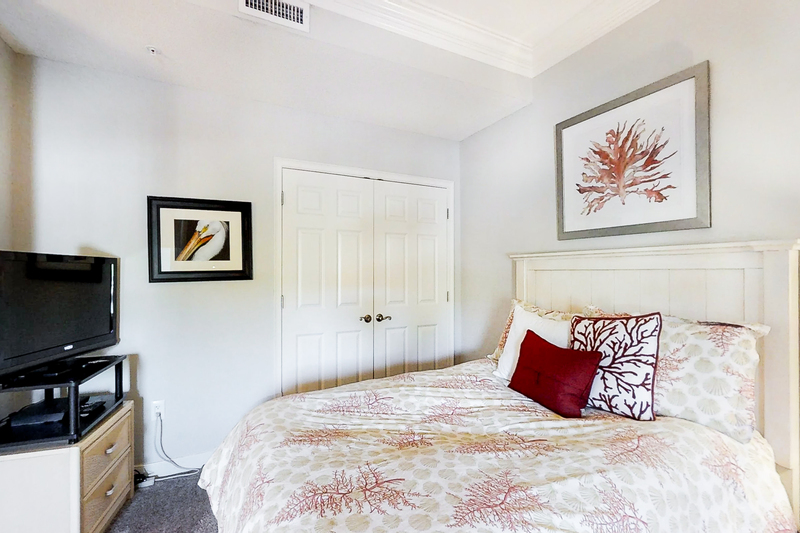 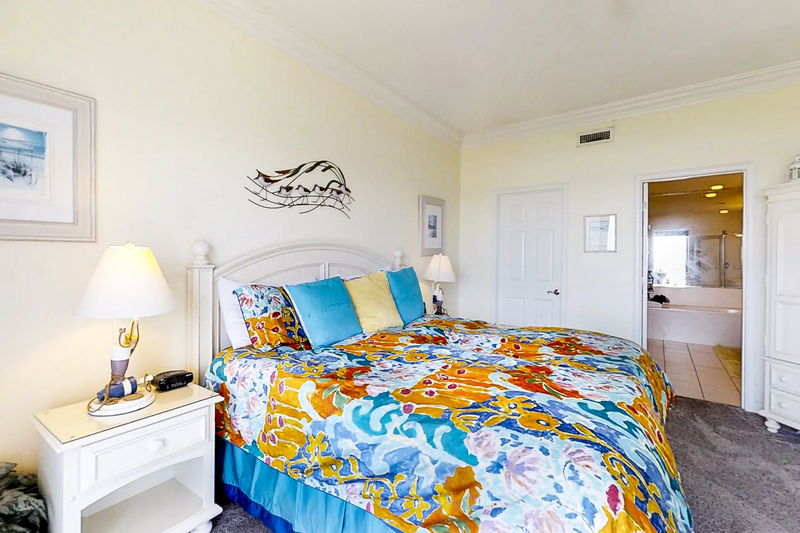 The master bedroom is furnished with a king bed, 32" flat screen TV and private bath with soaking tub and separate shower. 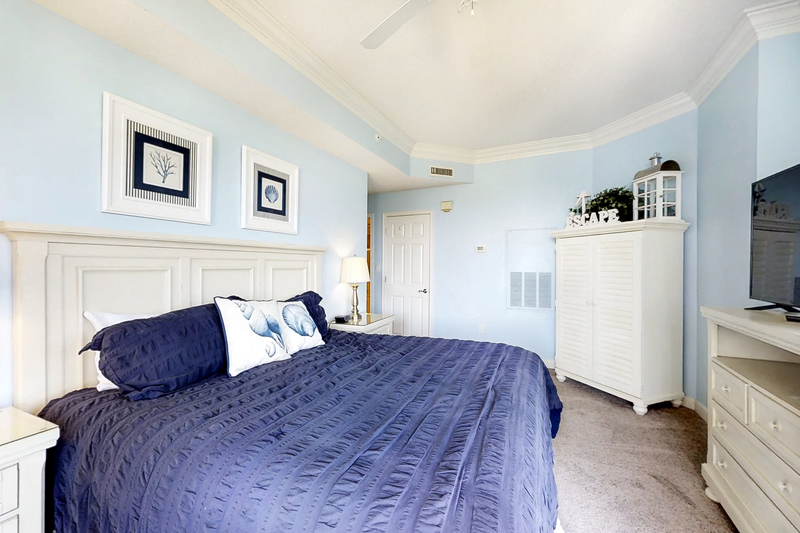 The second bedroom has two double beds, 25" TV flat screen, and access to a hall bath with soaking tub and separate shower. 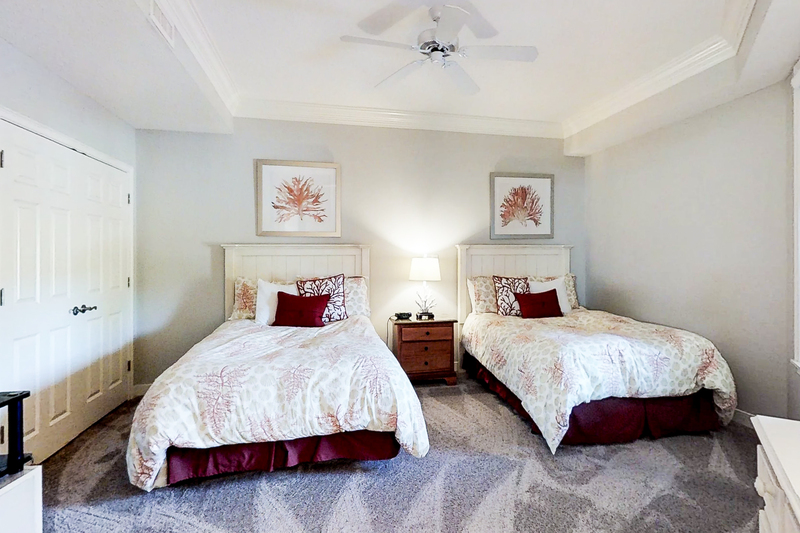 The third bedroom has the feeling of a private suite. 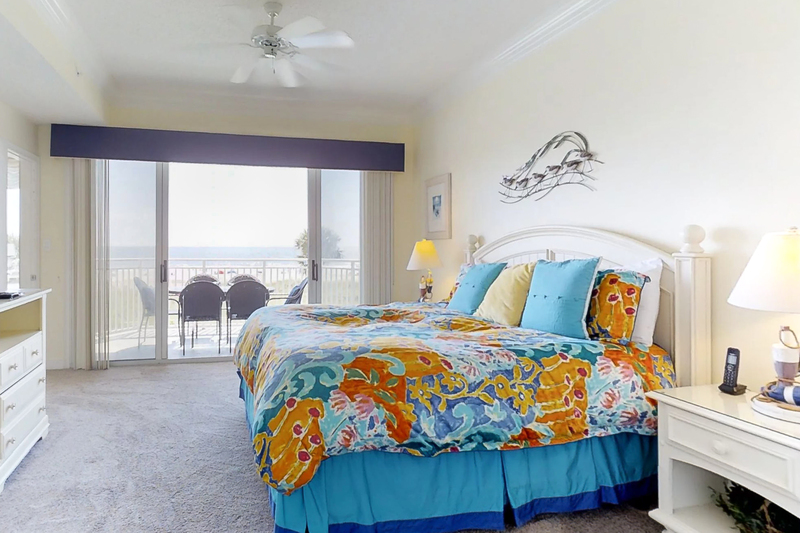 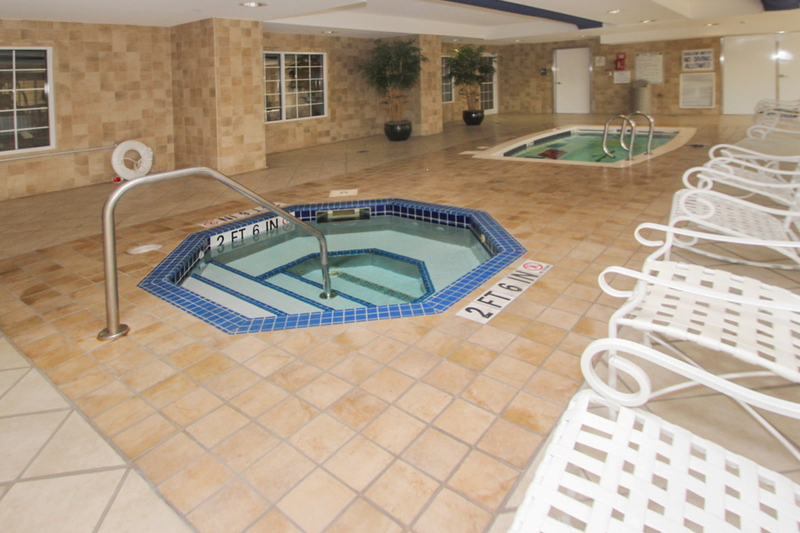 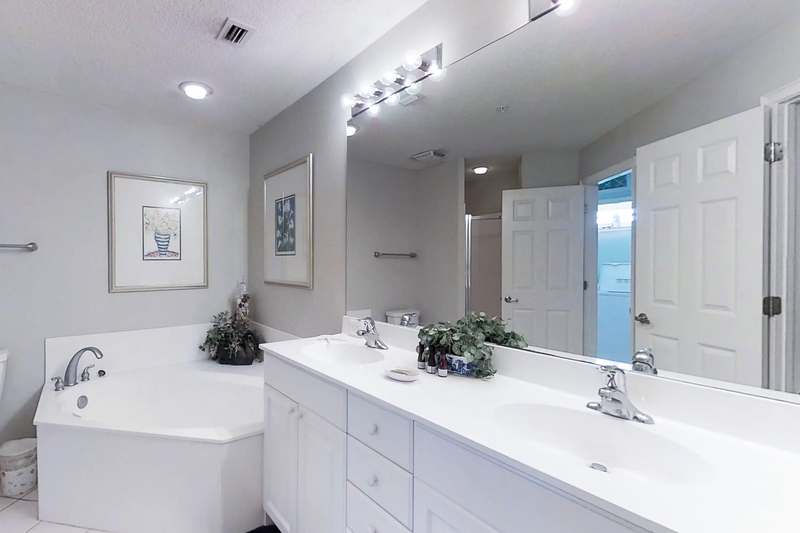 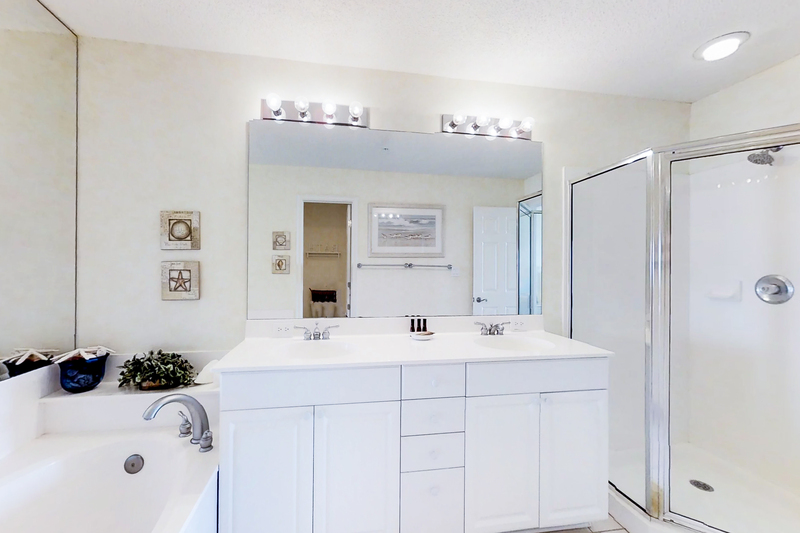 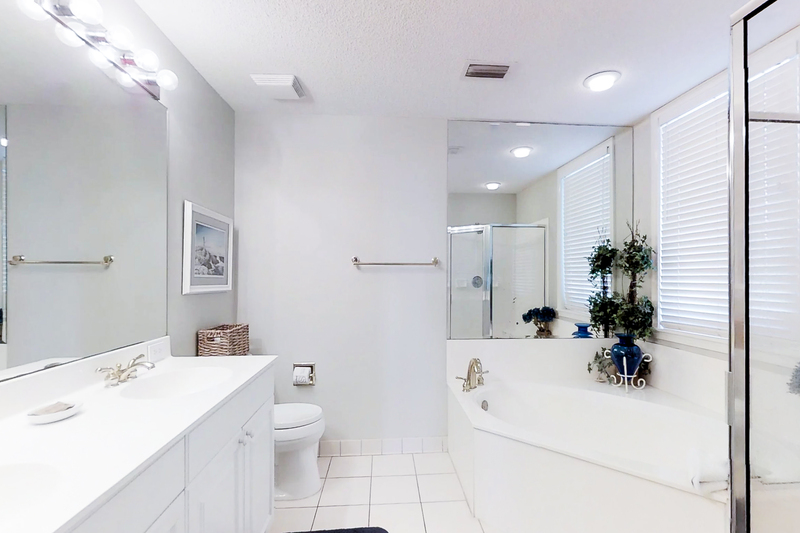 It features a king bed, 32" flat screen TV, private balcony, and full bath with soaking tub and separate shower. 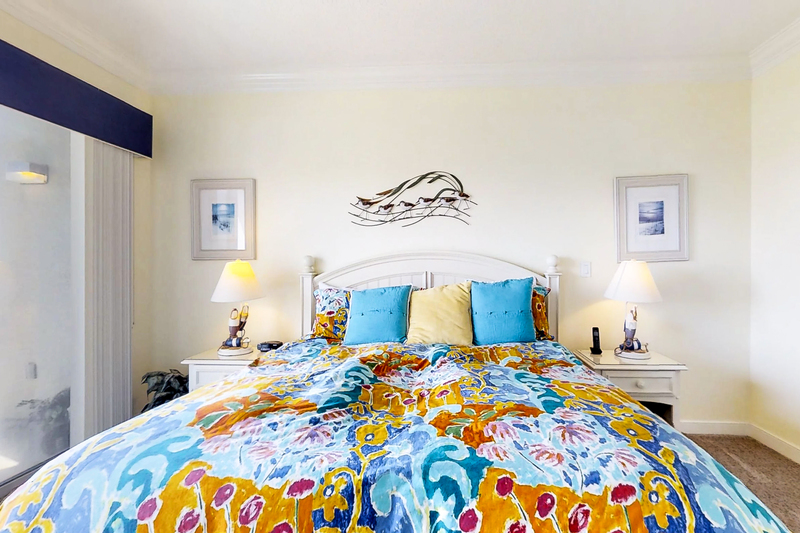 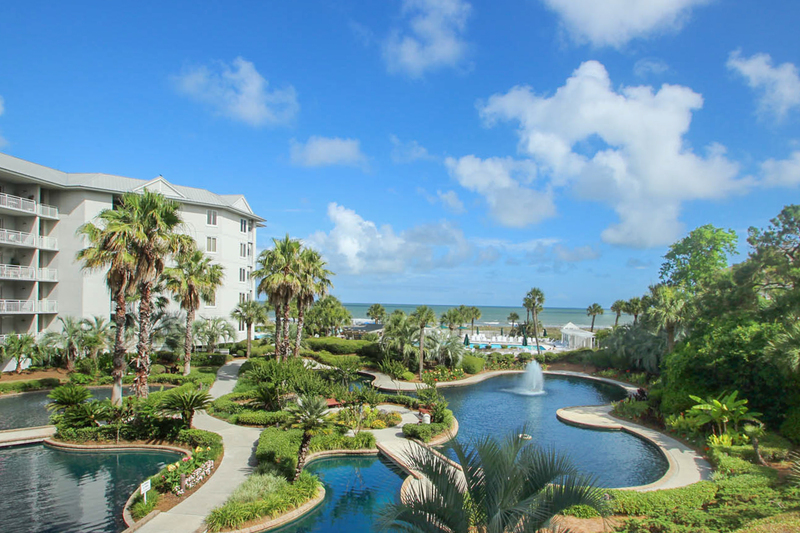 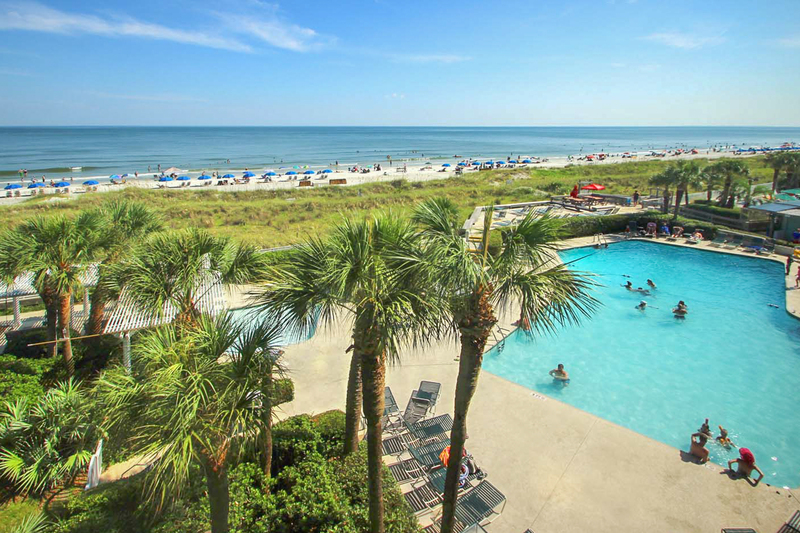 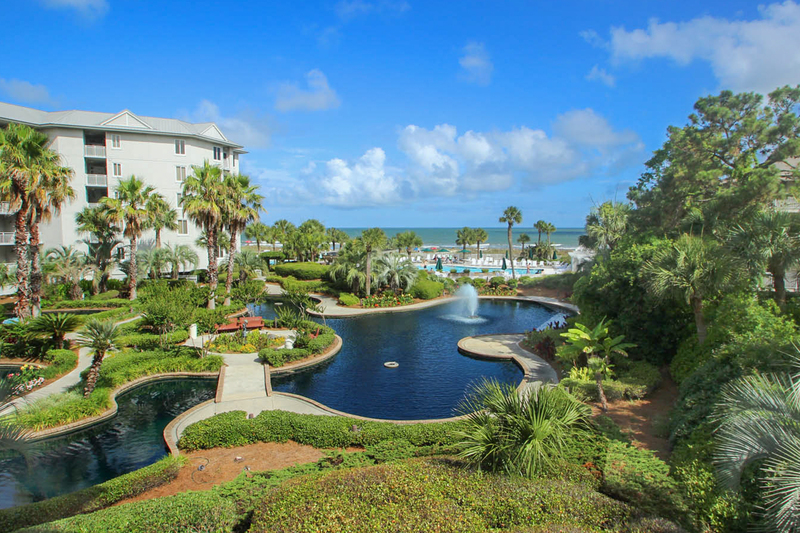 The Seacrest complex is located on exquisitely landscaped grounds in the Forest Beach area and provides great views of the Atlantic Ocean, pools, and lagoons. 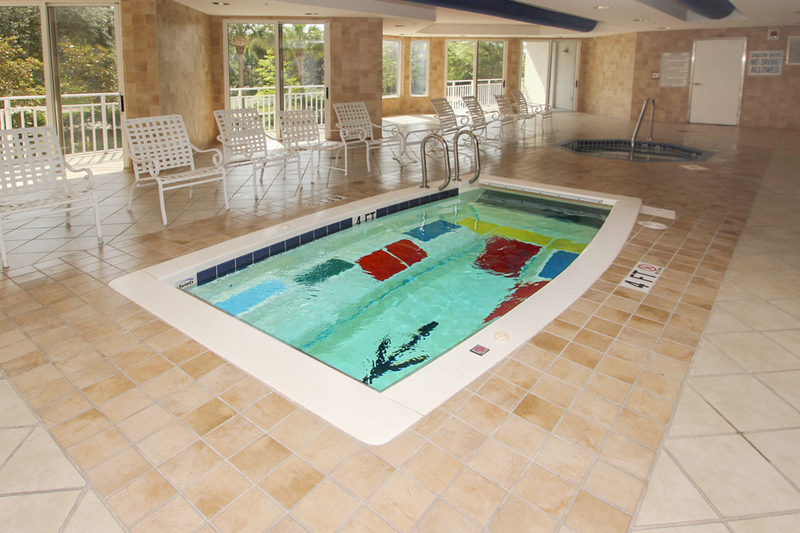 With every convenience one can imagine, Seacrest premises offer two outdoor swimming pools, an indoor swimming pool, a baby pool, outdoor Jacuzzi, health and fitness facility, and under the building parking. 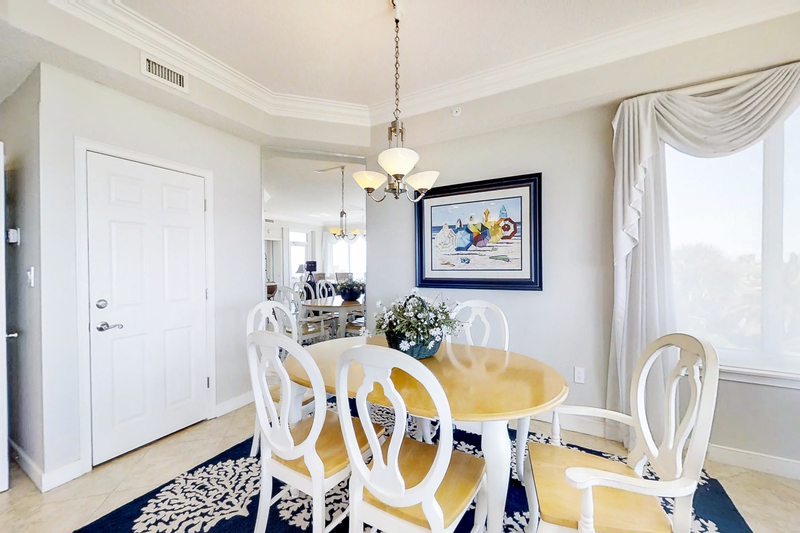 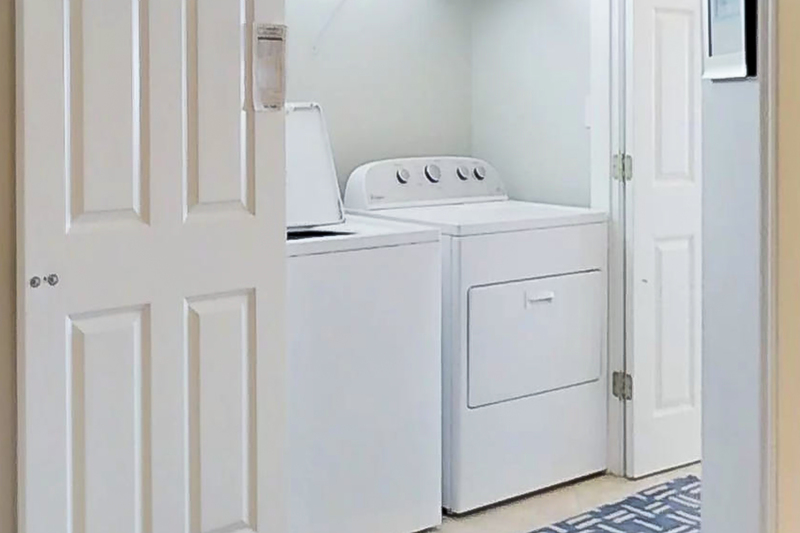 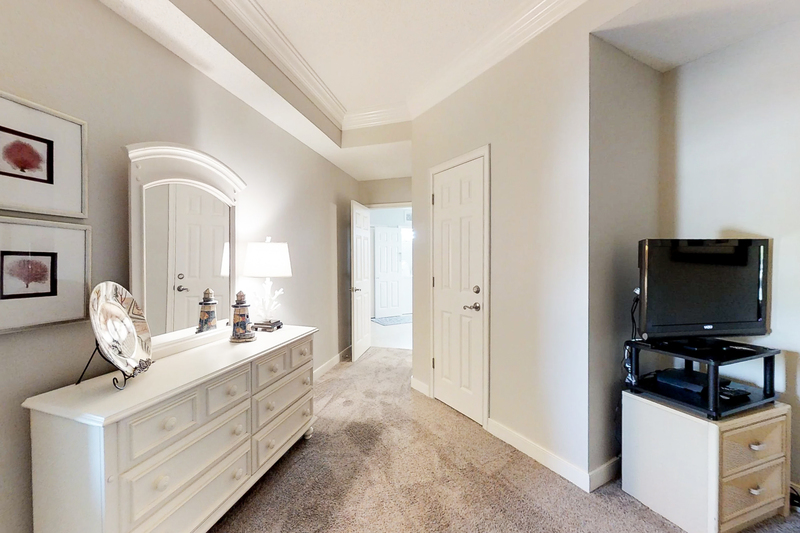 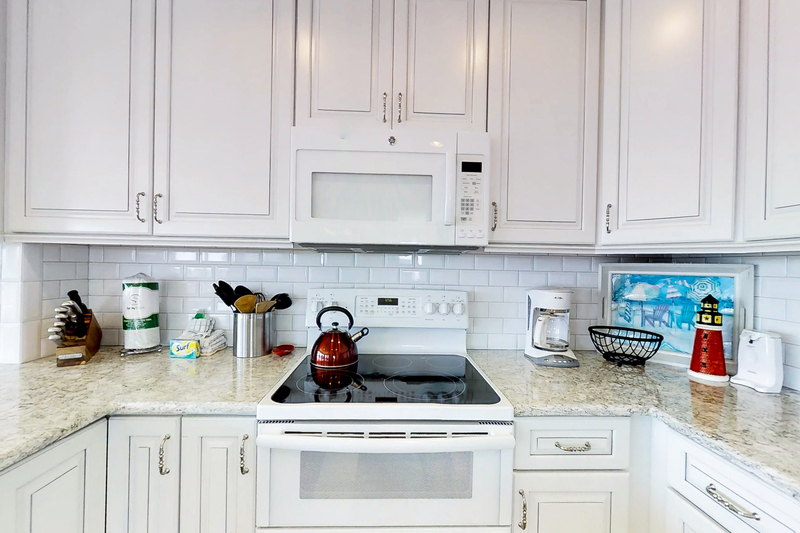 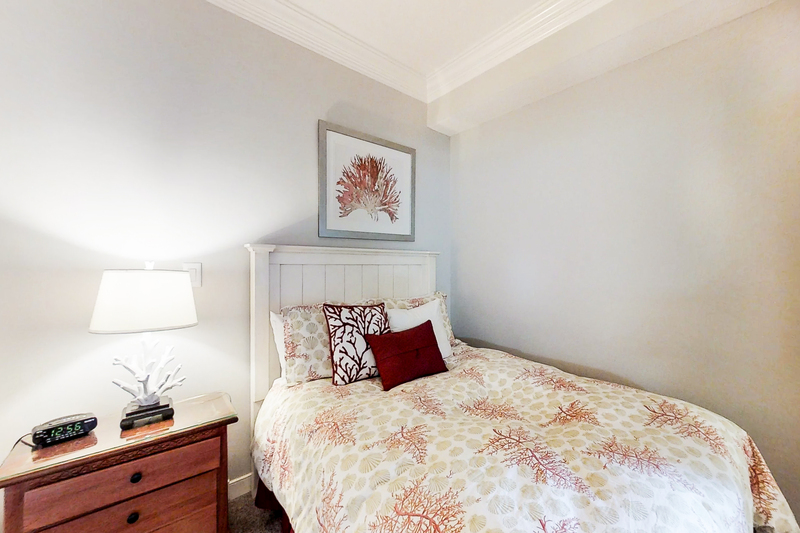 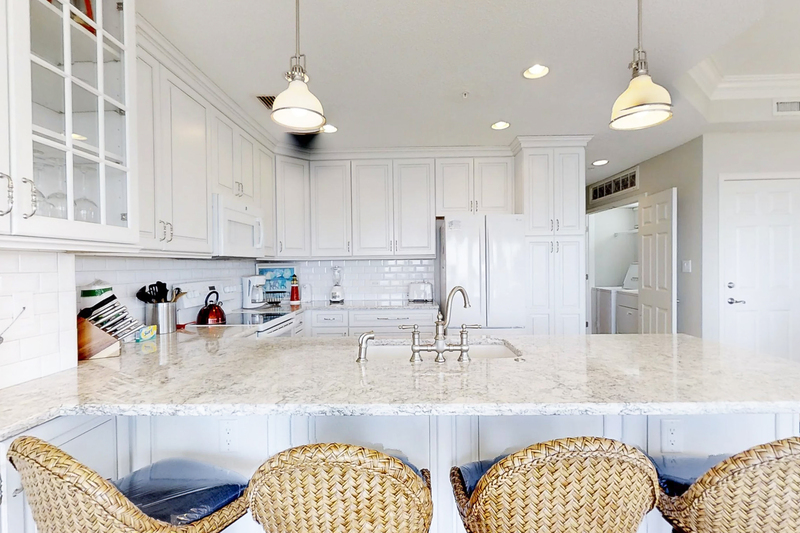 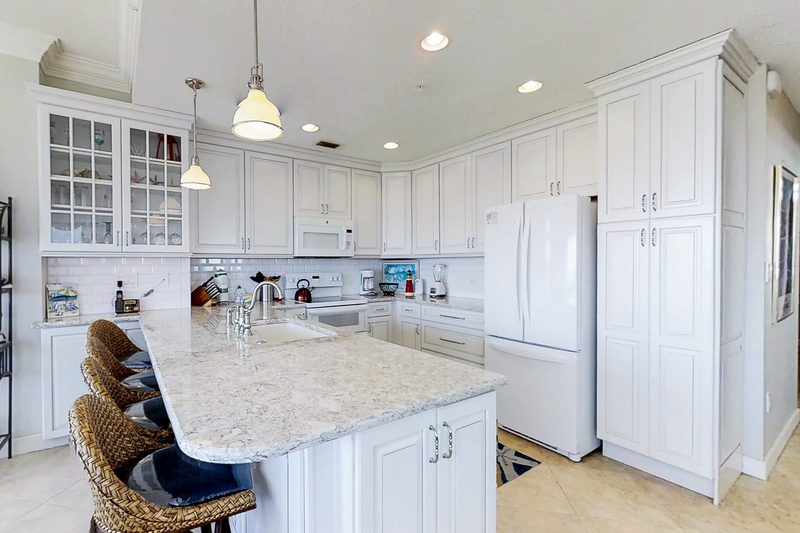 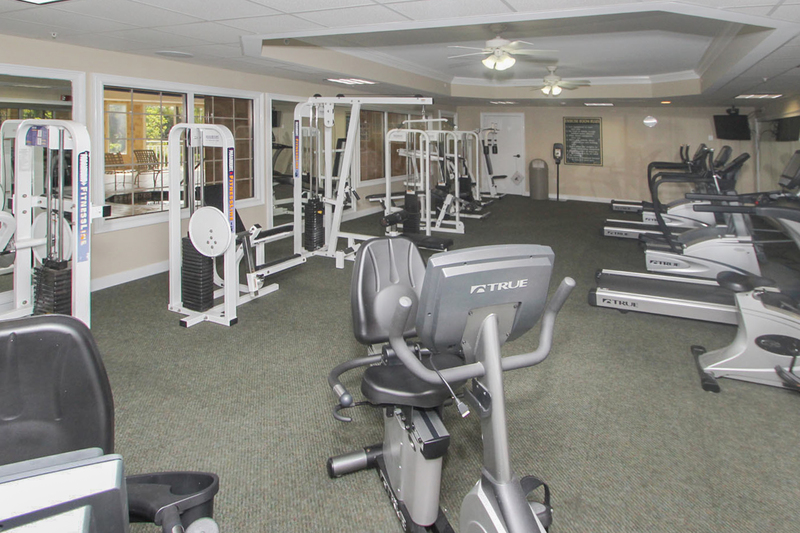 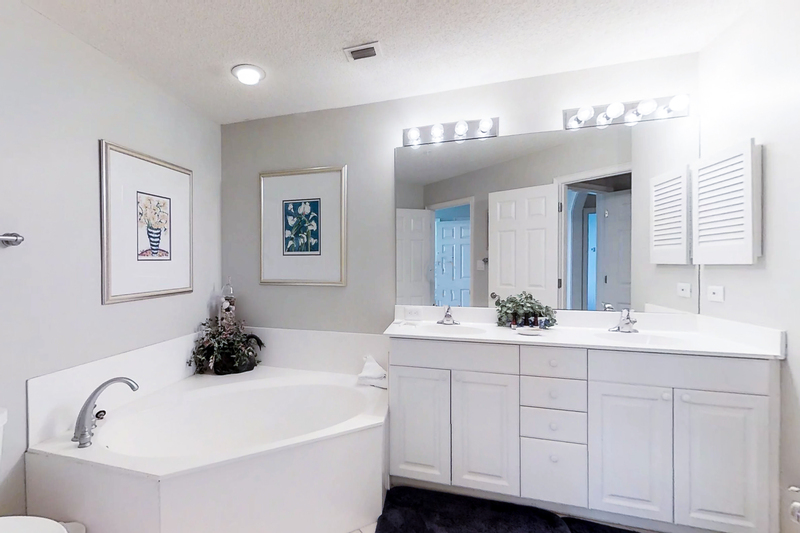 Conveniently situated at Coligny Circle, one can walk to the many shops, restaurants, and grocery stores in the Forest Beach area.